Skyservice has obtained approval for an STC to install the Satcom Direct Iridium-based DLU in the Learjet 45. 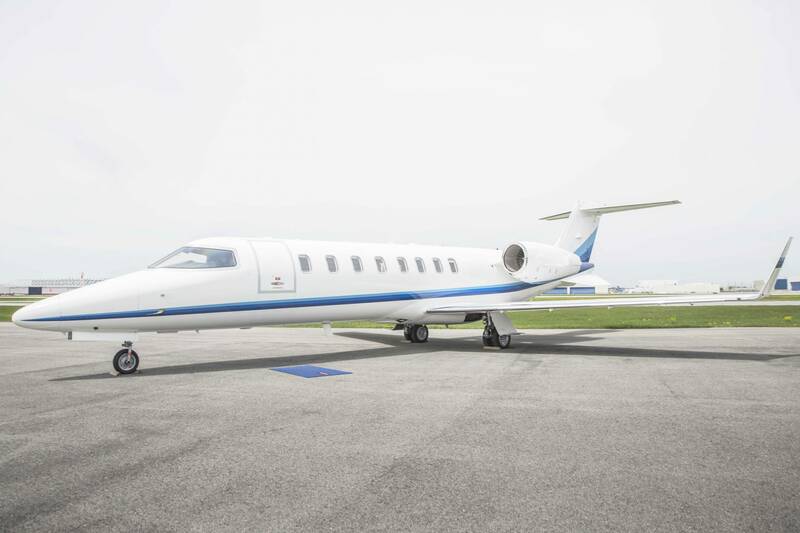 Transport Canada has granted a supplemental type certificate (STC) to Skyservice Business Aviation for Satcom Direct’s Data Link Unit (DLU) in the Learjet 45. Satcom Direct worked with Skyservice to develop the STC and is helping the company with upcoming EASA and FAA STCs, which should be approved in the second quarter. The SD DLU is an Iridium satcom that facilitates FANS-over-Iridium datalink communications and is the only DLU that is FAA technical standard order-approved (TSO C159c), according to Satcom Direct. The DLU was developed by TrueNorth Avionics, which Satcom Direct purchased in December 2016. Skyservice has upgraded one of its Learjet 45s with the SD DLU. Two more Learjet 45s will receive the upgrade shortly. With the DLU upgrade, the Learjet 45 can use controller-pilot datalink communications (CPDLC) to fly in airspace where FANS-1/A equipage is required. The DLU also enables ATN-B1 services and CPDLC-equipped aircraft can take advantage of digital clearances available at many airports in the U.S.